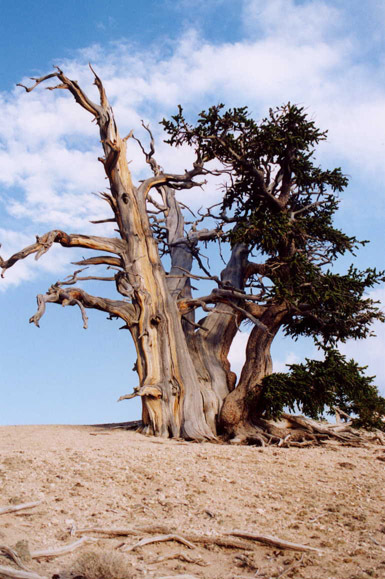 This tree is estimated to be 1,600 years old. 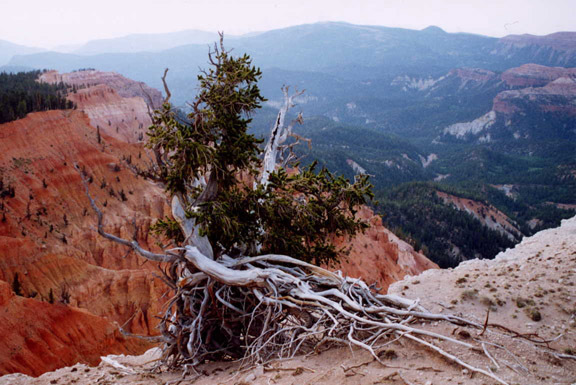 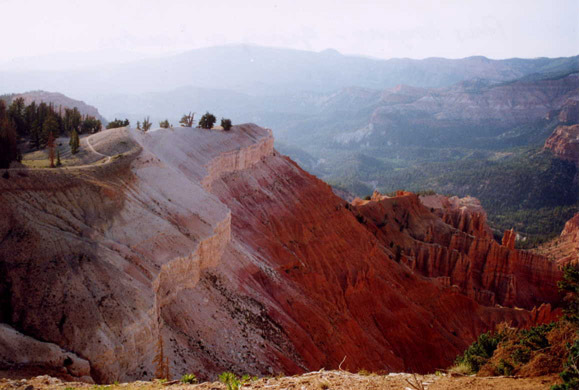 Bristlecone Pines at Spectra Point are growing on Limestone soil. 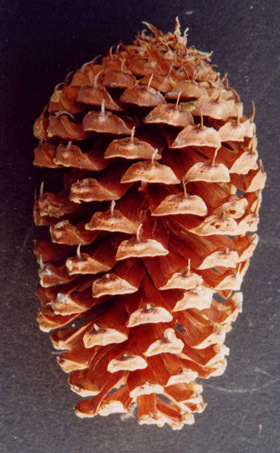 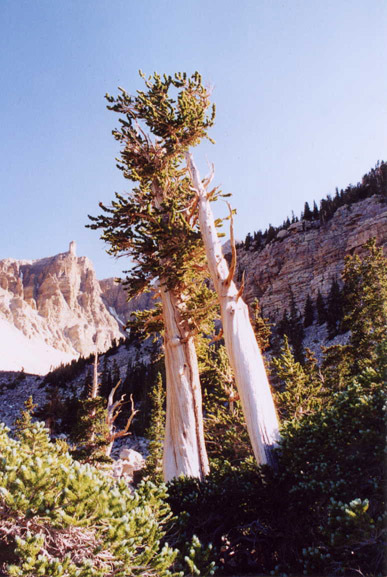 As is also the case in the White Mountains of California, the oldest Bristlecone Pines are almost always growing in Limestone soil. 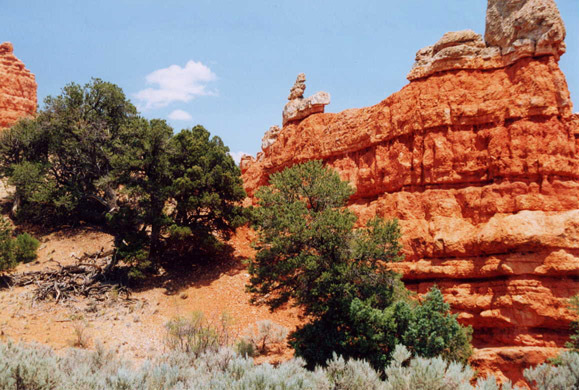 Researches believe that they prefer this soil because its light color reflects the sunlight, which keeps the soil temperature cool. 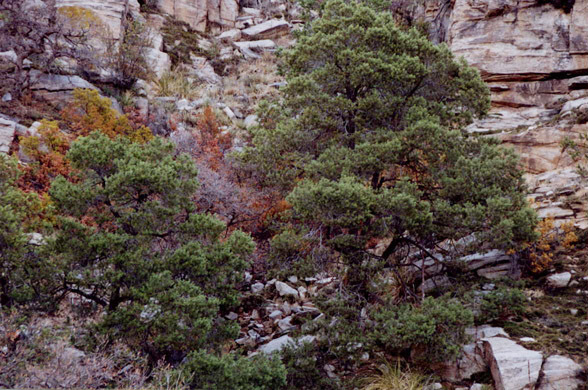 7 Cataracs Canyon, Santa Catalina Mts. 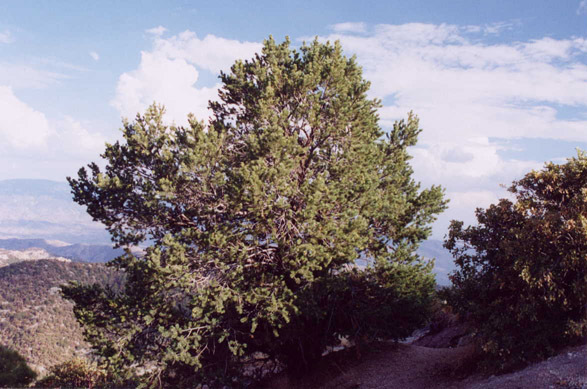 Mount Lemmon in the Santa Catalina Mts. 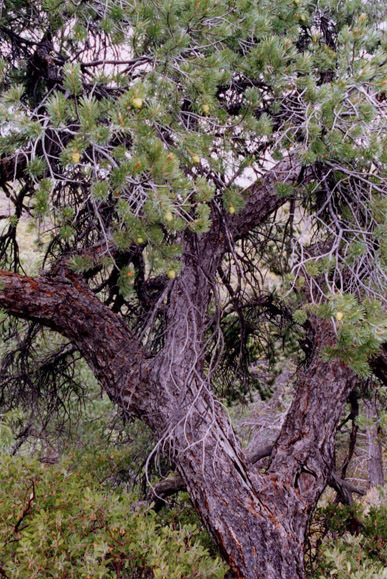 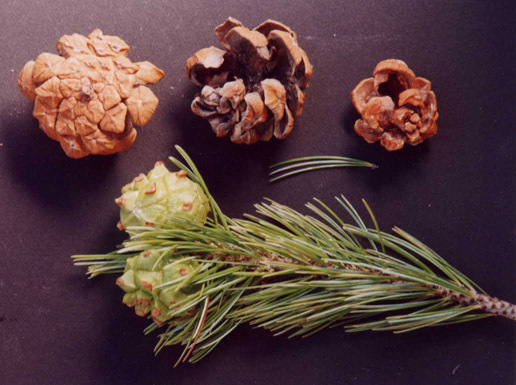 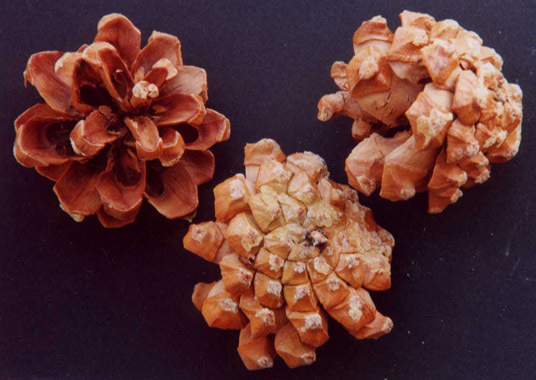 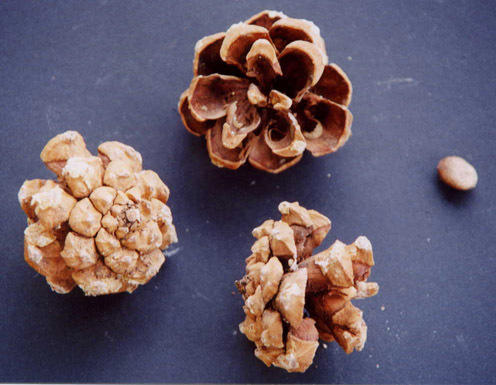 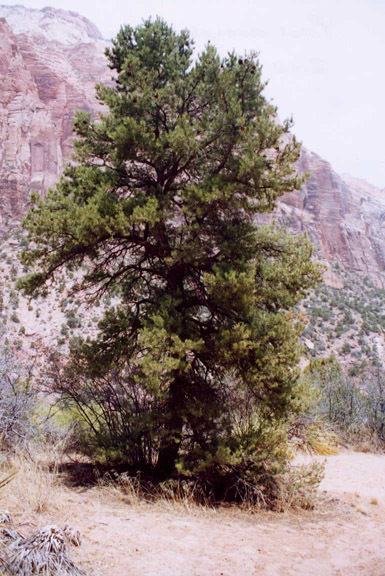 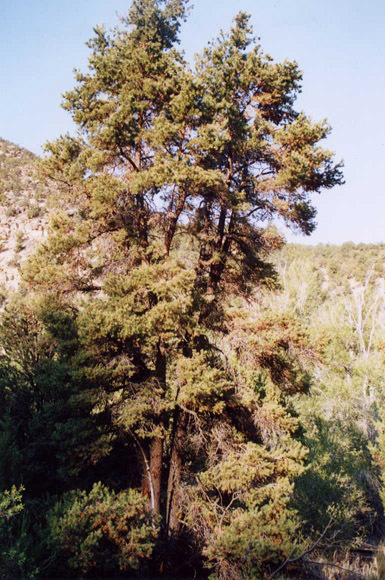 This Pinyon differs from Pinus cembroides in its dark grey bark, with orange under bark being visible. 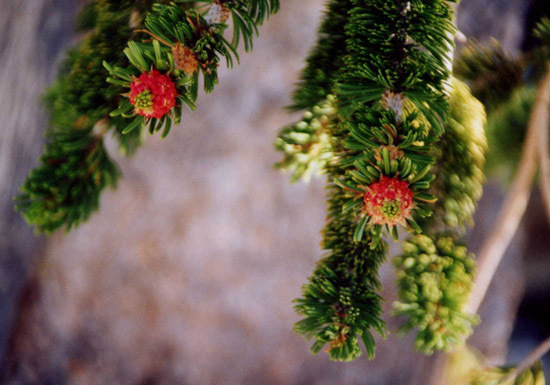 This species has a pronounced silver-white ventral surface of the leaves.